Bundling a Canon EF-mount lens with a dedicated lens adapter to Sony E-mount cameras, this Tokina opera 16-28mm f/2.8 FF Lens for Canon EF with Sigma MC-11 Mount Converter for Sony E Kit from B&H allows you to mount the versatile wide-angle zoom to your mirrorless camera body. Distinguished by its bright design, the Canon EF-mount Tokina opera 16-28mm f/2.8 FF is a flexible wide-angle zoom well-suited to landscape, architectural, and astrophotography applications. The f/2.8 constant maximum aperture pairs with the broad field of view range to realize an ideal lens for working in available light conditions and for using shallow depth of field techniques. The optical design incorporates aspherical and low dispersion glass elements, which help to control distortion and color fringing throughout the zoom range in order to produce sharp, clear, and color-accurate imagery. A multi-coating has also been applied to individual elements in order to suppress flare and ghosting for improved contrast when working in bright and backlit conditions. Complementing the optical design is a sophisticated focusing system, which uses a DC motor, Silent Drive module, GMR magnetic sensor, and an internal focusing design in order to provide especially quiet and quick focusing performance to suit stills and video needs. 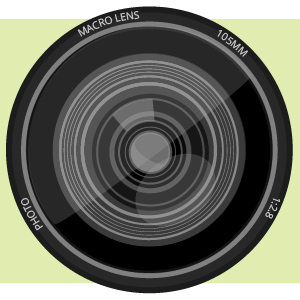 A One-Touch Focus Clutch Mechanism also allows for fast switching between autofocus and manual focus settings. Additionally, this 16-28mm f/2.8 sports a nine-blade diaphragm to produce a pleasing bokeh quality and it has a built-in lens hood to shield the bulbous front element from stray light. Wide-angle zoom is designed for full-frame Canon EF-mount cameras, however can also be used with APS-C models where it provides a 25.6-44.8mm equivalent focal length range. Three glass-molded low dispersion elements greatly reduce color fringing and chromatic aberrations in order to produce greater clarity and color accuracy. Bulbous front element contributes to realizing low distortion and even illumination across the frame. Multi-coating has been applied to individual elements to suppress flare and ghosting in order to achieve greater contrast and color fidelity when working in strong lighting conditions. A DC motor, along with a Silent Drive module, GMR magnetic AF sensor, and internal focusing design, affords especially quiet, precise, and fast autofocus performance. Additionally, a One-Touch Focus Clutch Mechanism permits switching between AF and MF modes by simply snapping the focus ring back and forth. Nine-blade diaphragm promotes a pleasing out of focus quality that benefits the use of shallow depth of field techniques. 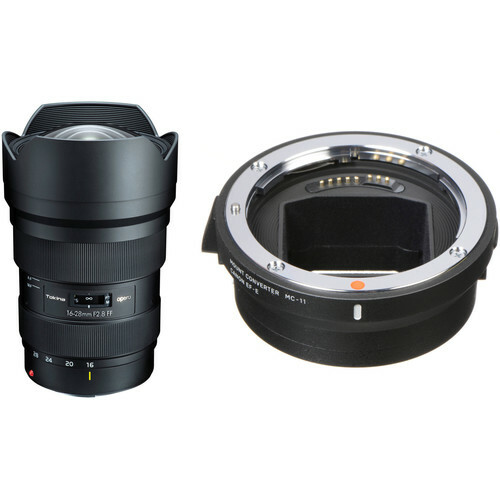 Box Dimensions (LxWxH) 8.5 x 5.8 x 5.4"
opera 16-28mm f/2.8 FF Lens for Canon EF is rated 5.0 out of 5 by 1. Rated 5 out of 5 by Kim from Excellent value! I was extremely impressed with quality and feel of this lens. Optics are excellent. Only had it a short time and tried some shots into the sun to see what the flare looked like. Had to look twice!